For the exhibition ‘Giles Round: The Director’ at the Hepworth Gallery in Wakefield, Tino Seubert realised a bench and stool from a new furniture series inspired by Donald Judd and Børge Mogensen. 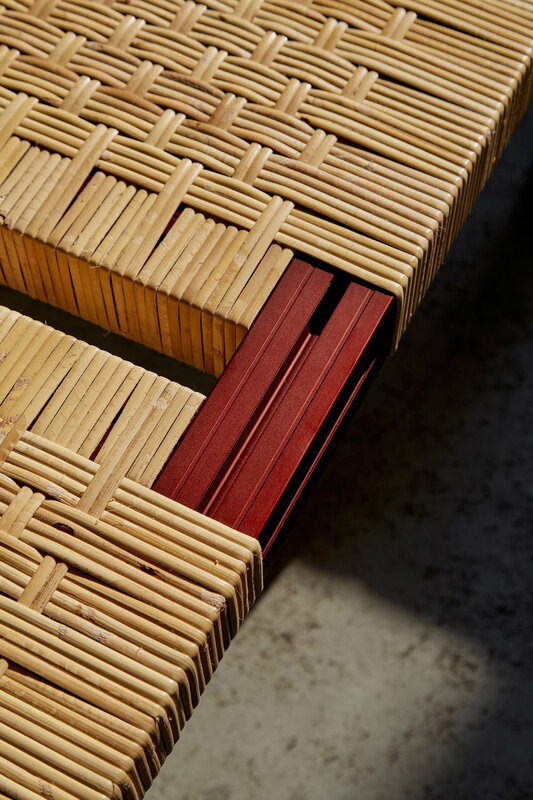 Anodised Wicker marries industrially extruded and anodised aluminium with hand-woven cane wicker and rush seagrass seats. The clinical and precise aluminium contrasts and emphasises the warm and organic material.